Auto supplier Delphi said Tuesday that it has completed a deal with its lenders to allow it to exit bankruptcy protection nearly four years to the day it filed for Chapter 11. 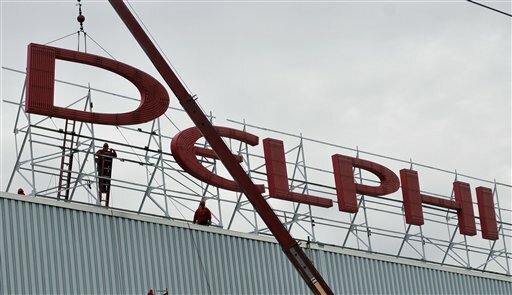 Delphi Holdings LLP, created by the company's emergence from bankruptcy court oversight, said it has finished acquiring most of Delphi Corp.'s core businesses as called for in its restructuring plan. Rodney O'Neal will remain the Troy, Mich.-based company's president and CEO. The company's current executives will continue to manage its global operations, Delphi said. On July 30, the bankruptcy judge overseeing Delphi's case approved the auto supplier's plan to hand control of the company to its lenders and pave the way for it to emerge from Chapter 11. The exact details of the plan have not been publicly disclosed. Delphi is now a privately held company and doesn't have to reveal financial information. Delphi filed for Chapter 11 on Oct. 8, 2005. At the time, it was the largest bankruptcy ever in the industry and the 13th largest in U.S. history with $17.1 billion in assets. The filing also marked a turning point in the industry, which had already been weakened by high labor costs and increasing foreign competition. It foreshadowed the rash of supplier bankruptcies and those of General Motors and Chrysler.